I present my Cheese and Potato Frittata recipe, an easy to make dish that works for brunch, lunch or a light supper. Best of all, you can adjust it to fit your tastes. Add some green peppers or asparagus. Use pepper jack cheese instead of cheddar and serve with a side of salsa. Sprinkle green onions over the top. This basic recipe can be the foundation for whatever your food imagination can picture, but it also tastes great just as it’s written. In a heavy, oven-safe skillet, add the oil. Add the potatoes and cooking until one side is brown. Turn the potatoes and add the onions. Continue to cook until the potatoes and onions are browned and tender. Preheat the broiler. Add the butter around the edges of the potatoes in the pan and cook until melted. Pour the beaten eggs over the mixture. Using a spatula, sift the mixture around so the eggs touch the skillet and cook. (You can also shake the pan to do this.) 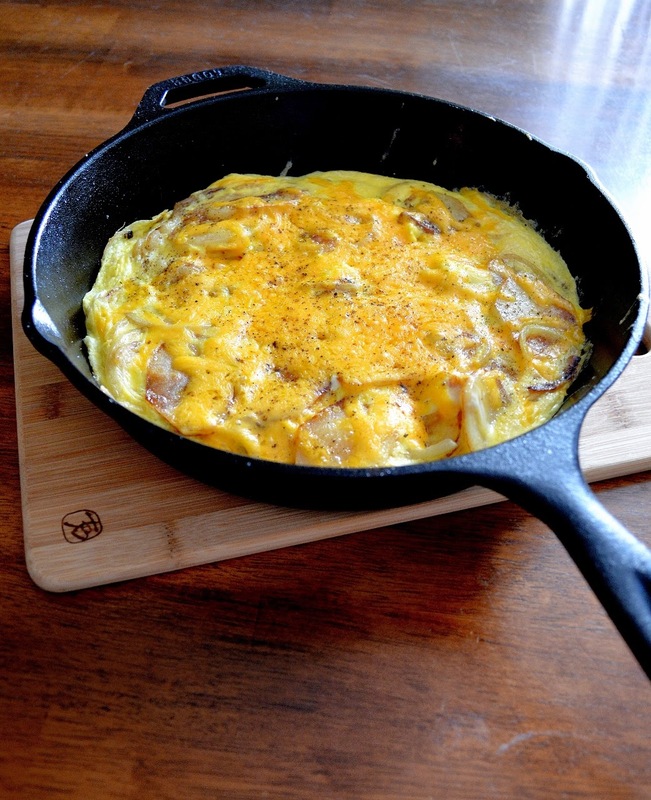 Once the eggs are just runny on top, sprinkle the cheese on top and place the skillet under the broiler. 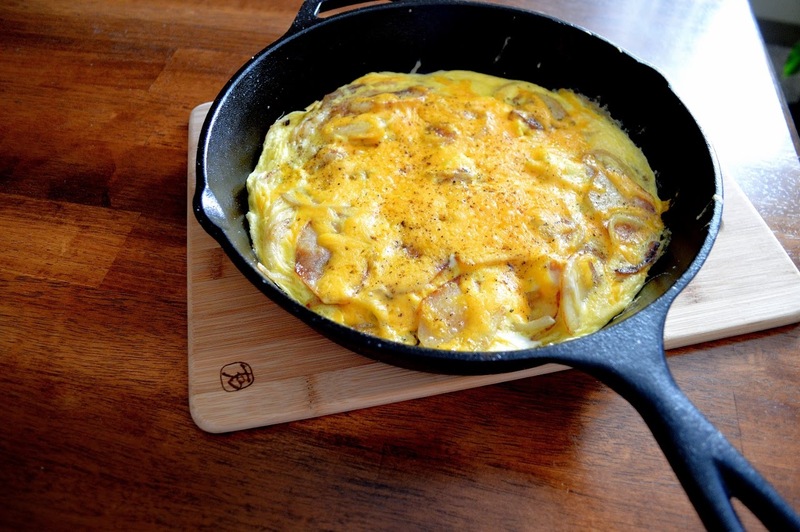 Cook until eggs are set, cheese is melted, and the frittata begins to brown slightly. Season with salt and pepper.